Owned by a mother, this classy bakery satisfies sweet and savory cravings with a rotating selection of orange, blueberry and almond whole-wheat muffins, bacon and spinach quiches, mini cheesecakes, and multigrain foccacia and sour rye bread, among other hearty treats. This Shunyi nook also has a selection of children’s books to browse. Hungry for something sweet? The name says it all. This Australian-run bakery whips up delectable originals, like carrot cake, red velvet cake and vanilla cheesecake – in addition to an assortment of cookies, cupcakes and muffins. 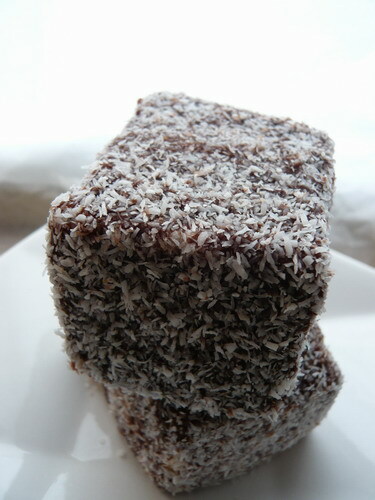 The oreo cheesecake is a tried-and-true favorite, but for something new, try the lamington – a soft, light cake with an outer layer of coconut shavings. Kids will also love their adorable cake pops, star-shaped brownies and rice krispie treats. This bakery chain lives up to the French reputation for outstanding baked goods, from spinach qiche to mini tartlets. Nibble a savory baguette sandwich, sip a cup of deliciously rich hot chocolate, and enjoy the novelty of an authentic macaroon – without setting foot outside Beijing. 1) Daily 7am-9.30pm. 4 Ritan Beilu (next to Jenny Lou’s), Chaoyang District. (8562 3355) 法派,朝阳区日坛北路4号; 2) Daily 7am-9pm. 1/F, East Lake Club, 35 Dongzhimenwai Dajie, Dongcheng District. (6461 1525) 东城区东直门外大街35号东湖俱乐部1层; 4) Daily 7am-9pm. L-111, Europlaza, 99 Yuxiang Lu, Tianzhu Zhen, Shunyi District. 顺义区天竺镇裕翔路99号欧陆广场L111室 (8046 6309) www.comptoirsdefrance. Home of Beijing’s best bagels, here you’ll also find a range of artisan breads, cakes, cupcakes, cookies – as well as pizzas, sandwiches, and an extensive breakfast menu. For the ultimate breakfast, pair your baked good of choice with a tall order of organic tea and coffee from the owner’s organic venture, Green Cow Farm. Bread of Life brings freshly-made breads, pies, cakes, and cinnamon rolls straight to your door. And as you bite into a slice of pecan pie, consider the goodwill you’ve done: this bakery creates jobs for older disabled orphans.